We’ve talked about influencer marketing before and why it’s so important you know the influencers in your industry. After all, these people already have the ear of your target audience. This means that if you’re able to connect with them and add value to the conversations they’re having, those influencers and their followers will start to pay attention to you. But how do you go about creating relationships with these people? In our opinion, one of the best ways to start fostering relationships with influencers is via Twitter. We think Twitter is a great social media platform for connecting with influencers in the B2B space because it seems more personal, making it easier to connect with people you haven’t yet met in the real world. What’s more, Twitter allows for different types of interactions and is a much more casual and laid-back social media site (say, for instance, in comparison to LinkedIn). 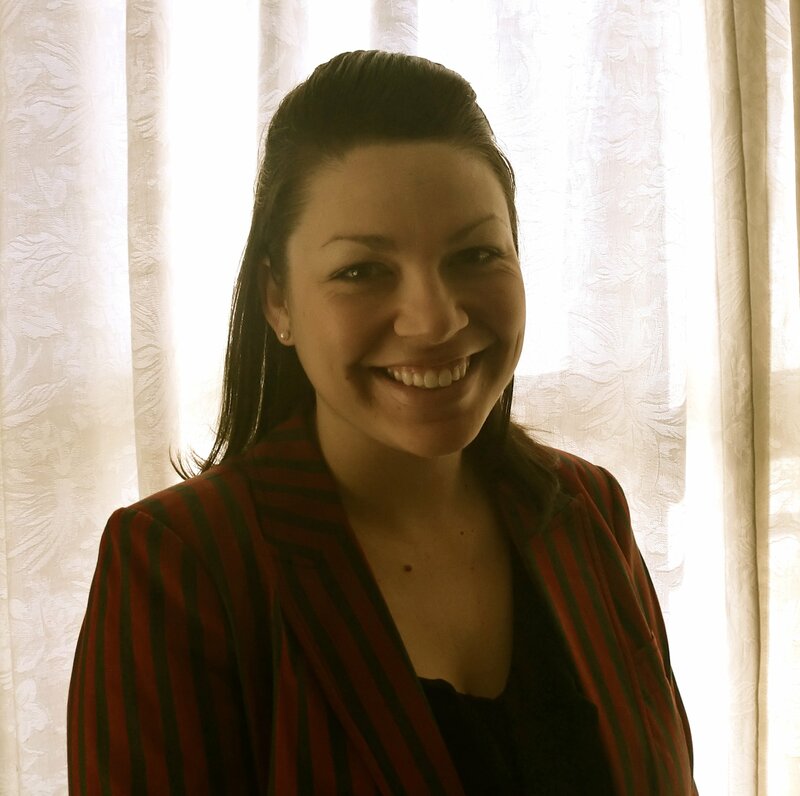 You can be a bit more informal and show off your personality! 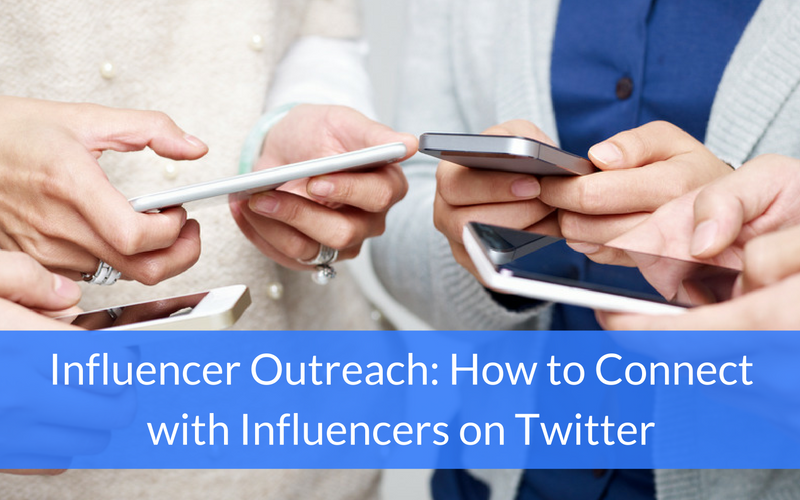 Here are a few ways you can leverage Twitter for influencer outreach. First you need to know who the influencers in your industry are. Start a list of people you already know hold weight in your industry, and see who those people follow on Twitter. If multiple influencers are following, interacting with, and/or sharing content from the same person, it’s a safe bet that individual is also an influencer. You can also use tools like Little Bird, Klout and Mention to find additional influencers. Now that you’ve identified your influencers, follow them on Twitter. Take a look at their profiles and see what they like to post about as well as what they tend to retweet. 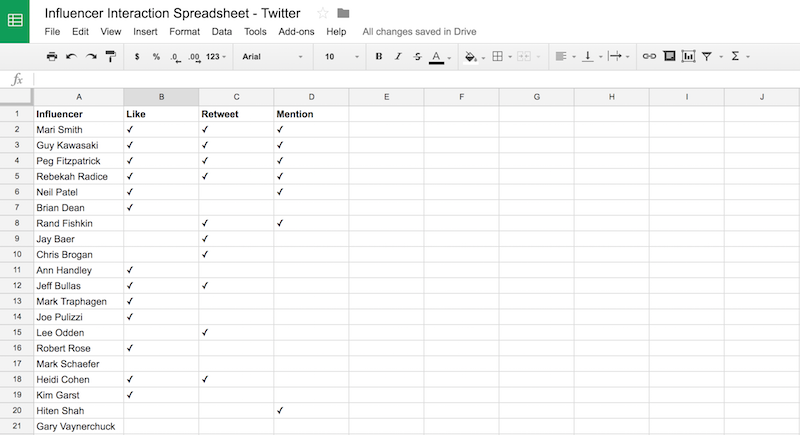 Once you’ve followed everyone on your list, it’s time to create what I like to call the Influencer Interaction spreadsheet. This will help you keep track of how you’re interacting with influencers on Twitter. Also, if you eventually want to reach out to them for a post you’re writing or to have them try out your SaaS product, you won’t be a complete stranger asking for a favor. In the Influencer Interaction spreadsheet, include the influencers’ names in one column, and then create columns for Like, Retweet, and Mention. This will allow you to keep track of when you’ve liked, retweeted, and directly mentioned the influencer. You’ll want to spread these interactions out over time (you don’t want to like, retweet and mention an influencer all in one day; unless they’ve posted something you found really inspiring). You also obviously don’t have to keep track of every time you like or retweet an influencer, but marking that you’ve done it at least once will help remind you of the effort you’ve already put in. You can check out a sample Influencer Interaction spreadsheet I created for xoombi that includes inbound marketing influencers (and helped me get responses from Rand Fishkin, Guy Kawasaki, Neil Patel, Lee Odden, Robert Rose and Jeff Bullas for this post). Another great way to help influencers get to know you is by participating in Twitter chats. Find chats that your influencers regularly participate in (or that they’re scheduled to be guests on), and make sure to join them live. Not only can you retweet their responses during the chat, you can address them directly with follow up questions. You might even get some love from influencers for your own responses to the chat questions. Your last step in influencer outreach will be to actually reach out to those influencers! Once you’ve used Twitter to establish a relationship with them, and have interacted with them directly via Twitter chats, it’s likely they’ll be more receptive to whatever you have to ask of them. As you get closer to reaching out directly, start collecting influencer contact info, whether it’s an email address, the URL of the contact page on their website, or a link to direct message them on Twitter. How do you use Twitter for influencer outreach? Share your tips in the comments.